With more than nine months to go before the event take place, Nutraceuticals Europe occupies 100% of the space of the previous edition, expanding its exhibition offer. The favourable response obtained in the first hiring period is the result of the successful approach of the fair along with the strategy of the event, which makes a cross-sectional call for the industry of functional ingredients, novel foods and nutraceutical final product. Therefore, together with the growth of the sector, will make the third edition of Nutraceuticals Europe – Summit & Expo a success and it will continue to be the meeting point between the supply and the demand of the sector. 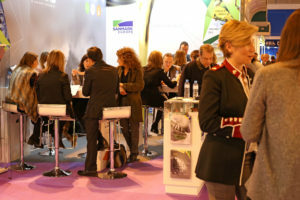 Nutraceuticals Europe has expanded the exhibition area due to the confidence of the participating companies in the previous editions and the interest of new international and national companies. This expansion provides more offer to the visitors and include all the companies which are interested in showing the science and the innovation behind its products. Mordor Intelligence and Market and Markets consultancies studies reflect this development and growth of the nutraceutical sector. According to the Mordor Intelligence consultancy, the nutraceuticals sector surpassed the figure of 200,000 million dollars and is expected to reach 300,000 million dollars in 2022. On the other hand, the consultancy Market and Markets also predicts a percentage of annual growth of 7.2% until 2020 and a turnover that can reach 38,000 million euros for the same year.